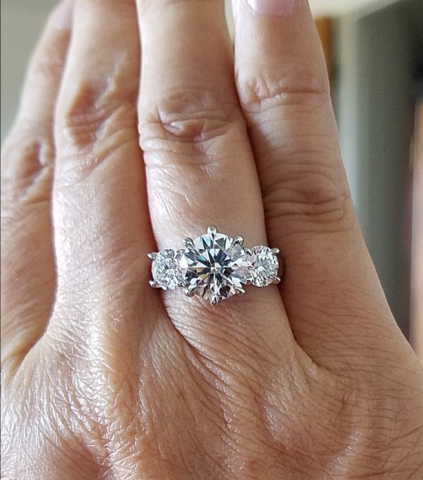 Cflutist shared this gorgeous 3 stone ring with us on the Show Me The Bling Community at PriceScope.com One of things that I love about getting to work with PS is that we all share a love for the users and their incredible jewelry collections! I got an email from Andrey (who you all know and love) asking if I had seen these fantastic pictures yet, I clicked over and my jaw hit the floor, I expect yours will too! Cflutist has some seriously glorious pieces, and this one is no exception! She gets custom jewelry created and it ALWAYS is breathtaking. 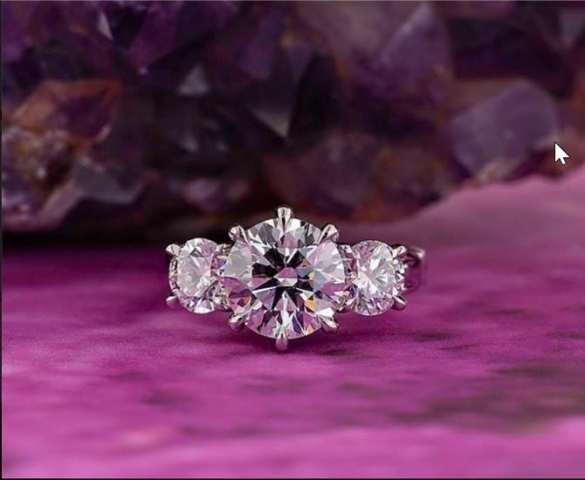 Entrusting Wink at High Performance Diamonds to meet her fabulous and exacting tastes since 2004, if her collection is the bar it is set incredibly high! 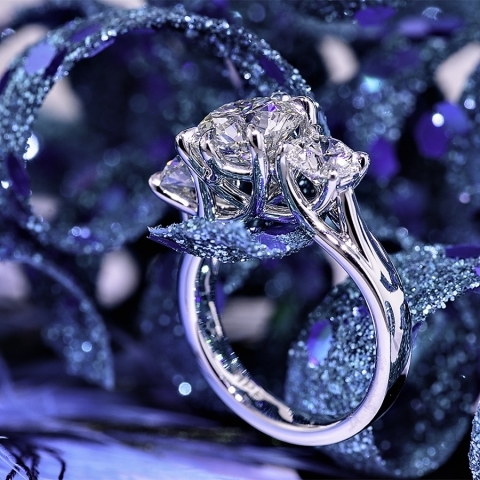 You really have to go look for yourself at this outrageously sparkly ring! The side stones are .53s F-VS1 and F-VS2 CBI diamonds that are within .01mm of each other and have the same crown and pavilion angles. Want to see the entire post with more pics? Lots of pics in here! Love this look? Learn more about three stone rings.